Nettle Tea is a truly invigorating and nutritious brew it also tastes great, too. This beverage is made from the leaves of the Urtica dioica plant. When dried and boiled, the infamous stinging nettle quite literally loses its sting. Freshly packed to order in our Kent-based factory, Nettle Tea offers notably herbaceous and grassy overtones, coupled with a delightfully refreshing aftertaste. When consumed as part of a healthy and active lifestyle, this brew can also provide anti-inflammatory properties, improved kidney function and, believe it or not, allergy relief. Enjoying this herbal tisane on a warm summer’s day is guaranteed to immediately change your perception of this supposedly ruthless plant. In recent years alone, and following numerous scientific studies, Nettle Tea has rapidly increased in popularity. In fact, it is, without a doubt, one of The Kent and Sussex Tea and Coffee Company’s most ‘up-and-coming’ brews. So, what are you waiting for? Try our Nettle Tea today! Nettle Tea is far from a new invention; in fact, it’s use in a multitude of different ways dates back at least 4,000 years. For example, archeological evidence dug up in Denmark has since established that nettle fibres were in use as long ago as the European Bronze Age (circa 2300 - 1200 BCE). Surprisingly, despite its armoured exterior, the Urtica dioica plant is ideal for textile production. When dried and pounded, nettle fibres can be extracted from the stalk and subsequently twisted into rope or even used to produce cloth. These fibres are astoundingly pliable and are likewise of good length to be spun into yarn. Examining nettle’s earliest use as a herbal tea, on the other hand, it is known that many North American indigenous tribes often created a nettle root infusion to treat stomach pain, as well as to ‘purify’ the blood and the liver. Meanwhile, the well-acclaimed Greek physician, Hippocrates (circa 460 - 370 BCE) reported that, at the time, there were a total of 61 herbal remedies that nettle could be applied to. 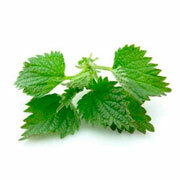 Centuries later, the equally important Greek physician, Galen (129 - circa 210 CE) recommended that nettle be used as “a diuretic and laxative, for dog bites, gangrenous wounds, swellings, nose bleeding, excessive menstruation, spleen-related illness, pleurisy, pneumonia, asthma, tinea, and mouth sores”. Exploring nettle’s mythological origins, the Norse once believed that the nettle plant was sacred to their God, Thor. Traditionally families would have thrown these plants into fires during thunderstorms to keep their homes from being destroyed by lightning. In Buddhist culture, nettle is closely associated with the Tibetan Saint, poet, and Yogi known as Milarepa. According to legend, Milarepa once roamed the land in search of a suitable place for meditation. Eventually, he would come to rest in a cave near the Tibetan town of Nyalam. Surrounded by a stream of good water and a sizable patch of nettles, Milarepa was able to make clothes to cover his body, and flour for inner nourishment. As time went by, his skin was said to turn as green as the very nettles he so often consumed. During the 17th Century, interest in nettle as a material waned following the mass-production of cotton. This, however, did not stop further research regarding nettle’s medicinal properties. English botanist, herbalist, and physician, Nicholas Culpeper (1616-1654) was a pioneer of his time. He claimed that nettles were helpful for “bladder stones or gravel, worms in children, an antiseptic for wounds and skin infections, gout, sciatica, joint aches, and as an antidote to venomous stings from beasts”. Suffice to say, this was a very important endorsement which still rings true today! Nettle fabric has since been subjected to a great revival. However, here at The Kent and Sussex Tea and Coffee Company, we are more excited to share our extremely popular Nettle beverage with Tea connoisseurs around the world. How to Serve: Nettle Tea is best served as it is. However, lemon may be considered as an optional extra. Tasting Notes: Delicate and subtle, this beverage boasts a sublime herbaceous flavour with minty undertones. When enjoyed without any accompaniments, Nettle Tea will also leave a soft, sweet aftertaste. Benefits of Nettle Tea: Containing high concentrations of many vitamins, minerals, and other antioxidants, including Vitamins A, B1 (thiamine), B2 (riboflavin), B3 (niacin), B5 (pantothenic acid), C, D, E, and K, as well as acetylcholine, calcium, chlorophyll, chromium, iron, magnesium, potassium, selenium, serotonin, sulphur, and zinc. Scientific studies have also proven that the frequent consumption of this brew can offer anti-inflammatory properties, as well as improve the immune system, enhance kidney function, and even reduce symptoms associated with some allergies. That’s right the very same plant that leaves you cursing at the wind when you brush up against it can also aid you when it comes to dealing with unwanted ‘sniffles’. In a strange twist of irony, once the plant has been dried and boiled to neutralise the acid, the leaves are actually a natural antihistamine and also have anti-asthmatic properties. In one recent study, 57% of participants rated nettles as equally effective as their allergy medications, while 48% claimed it was, in fact, more effective! We have also put together a great article on this tea, What is Nettle Leaf Tea Good For?